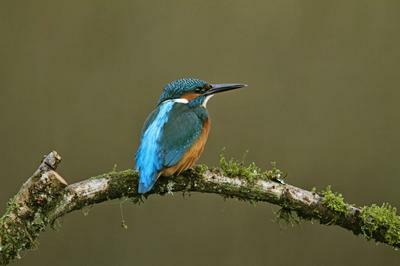 Kingfishers are small, unmistakable, bright blue and orange birds of slow moving or still water. They fly fast and low over water. They hunt fish from riverside perches, occasionally hovering above the water’s surface. They are only the size of sparrows with short legs and a large head and bill. This gives them an unmistakable profile. They have specially adapted vision allowing them to see prey underwater. The best place to see them is along a canal. You will often hear their shrill ‘chreee’ call before seeing them darting along above the water. If you are lucky you may see one sitting on a perch over the water looking for prey. Best spot = Neath Canal. For more information see the RSPB Kingfisher page.